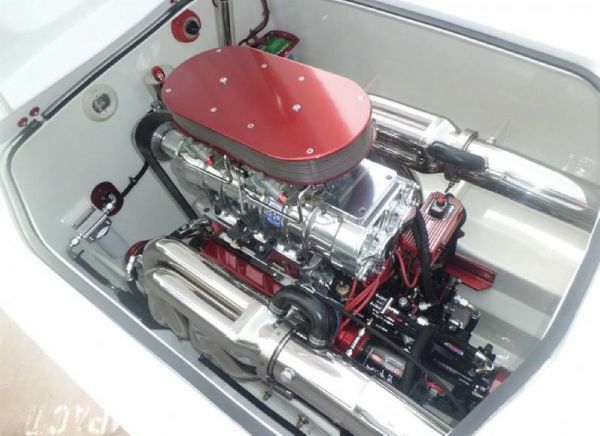 This marvelous Skater flatdeck is powered by Mercury Racing motors connected to SSM #VI dry sump drives. The engines have not many hours on them. 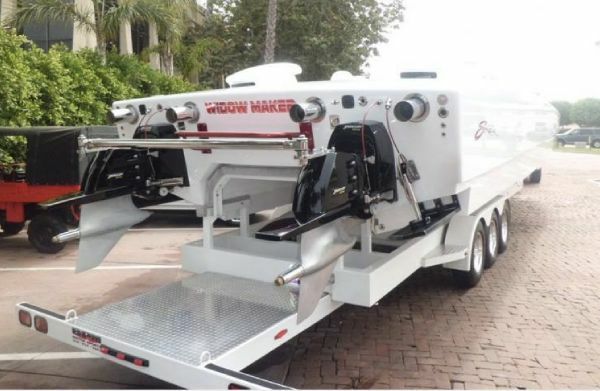 This impeccable machine just had a 97k rehab at the Skater factory in 10-2009 (invoice available). 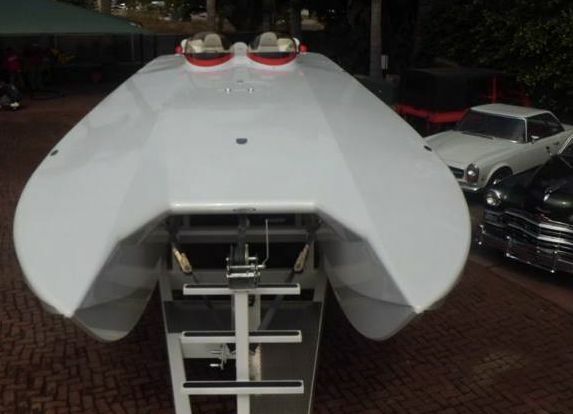 This racing-boat has been finished in a beautiful custom MBZ pearl white exterior painted at the manufacturer. 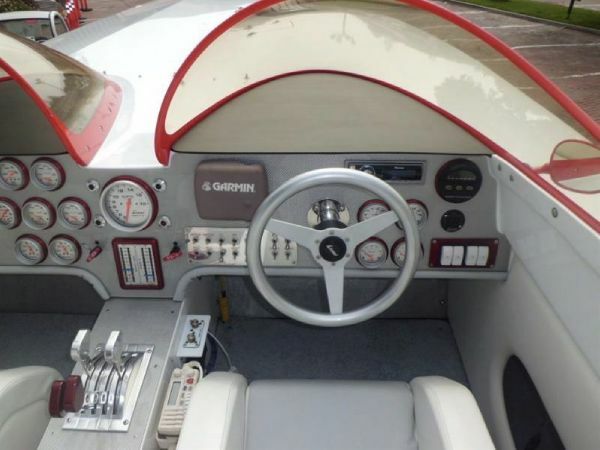 The manufacturer Skater also replaced the interior, the dash, its gages and repaired every nick and chip while also replacing the fuel tanks. 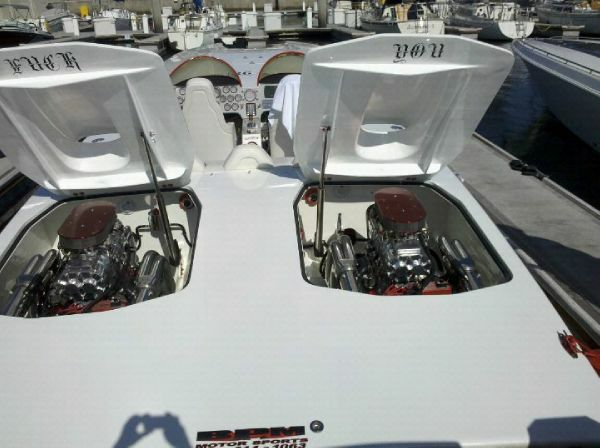 The boat has been equipped with two brand new 588 cubic inch 1100 hp Mercury. 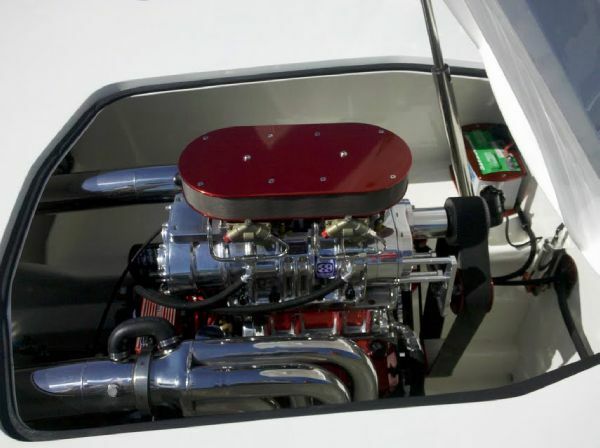 The Blower shop overhaulled the blowers and installed new intercoolers. 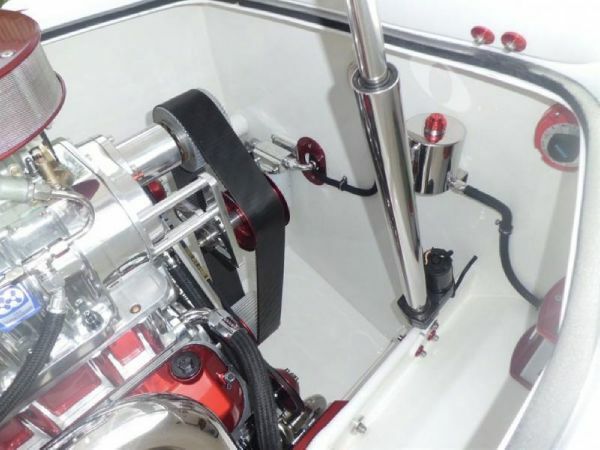 The boat has new CMI big tube headers and Teague custom marine tail pipes are installed. 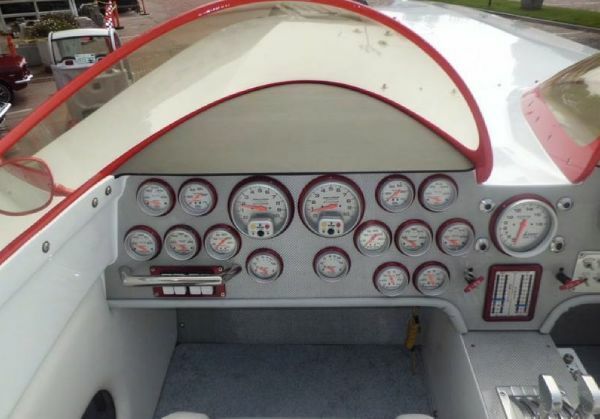 New wiring, a new MSD ignition system has been put into the boat as well as 17.000USD in hoses, fittings, nuts and bolts, new BAM 1500 transmissions, new engine mounts, new Teague oil pans , Herring Props, Intercom system, custom Skater trailer and a new cockpit cover, etc etc. 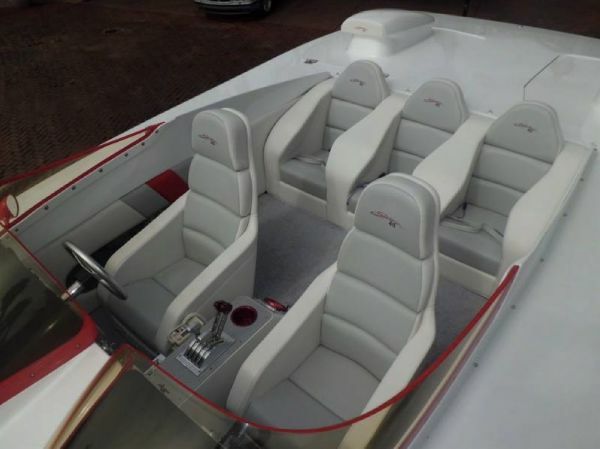 This boat is ready to go and in a turnkey condition! 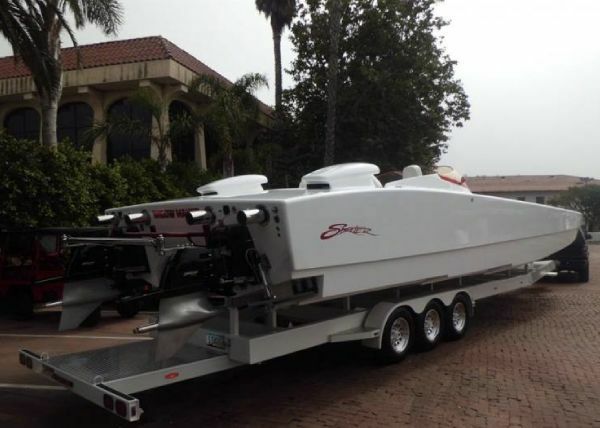 The recent poker run long beach to catalina island it took 15 minutes to do it and it won second place! 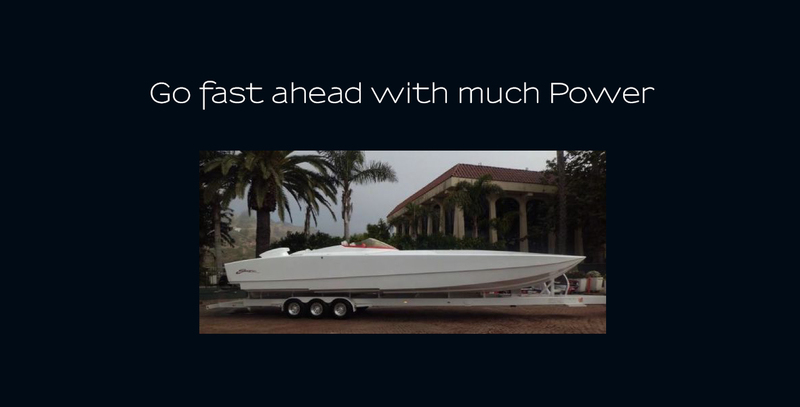 Over the top high performance! 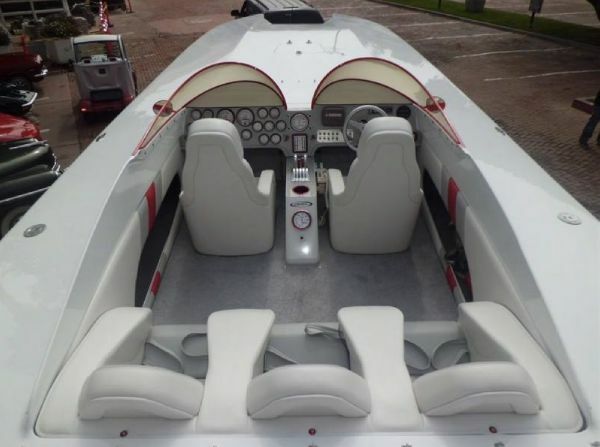 This entry was posted in motor yachts. Bookmark the permalink.